The start has been the Achilles heel. 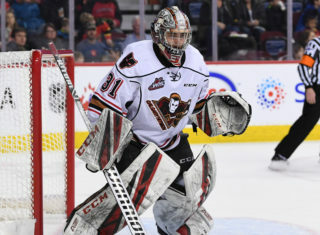 Saturday night at the Scotiabank Saddledome saw the Hitmen fall 6-3 to the Edmonton Oil Kings, despite a late push in the third period. The Oil Kings jumped to a quick 3-0 lead after the first 20 minutes and added one more as the clubs headed into the final frame, until the Hitmen found some life. But, it was too little too late. “When we look at the trend in the first three games it’s been slow starts,” head coach Steve Hamilton said. “When you are digging yourself into holes it’s not easy to climb out of. We have to embrace how difficult it is to win in this league. 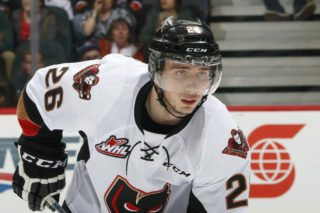 Jake Kryski led the Hitmen with two goals to bring his season total to four through the first three games, while Mark Kasetlic added a single marker. Matthew Armitage got his first start of the season, stopping 26 shots. 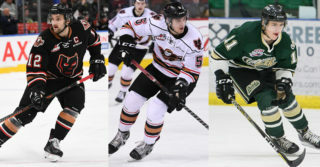 Carter Souch, with two markers, and Quinn Benjafield led Edmonton with three-point outings while Jake Neighbours and Trey Fix-Wolansky rounded out the scoring. “There are a lot of things that contribute to these slow starts like the preparation for the game,” Kastelic said. “We have to dig down and really get back to our game especially for tomorrow at the end of a three-in-three. The contest marked the second night in a row that saw the Hitmen have a last push in the final 20 minutes, as they fell to the same fate Friday night against Red Deer. 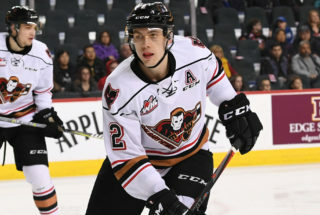 Special teams continued to also be a factor as the Hitmen failed to score on six attempts, while giving up two powerplay goals and also a shorthanded goal in the first frame. 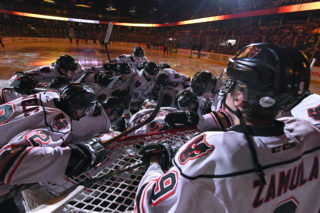 The Hitmen will now look to salvage the weekend tomorrow afternoon against the Rebels to wrap up the three-in-three weekend, still searching for the first win of the season.